The Only Sugar Cookie Recipe You Will Ever Need. EVER! I have been waiting to post this recipe for so long. We make these cookies all the time. 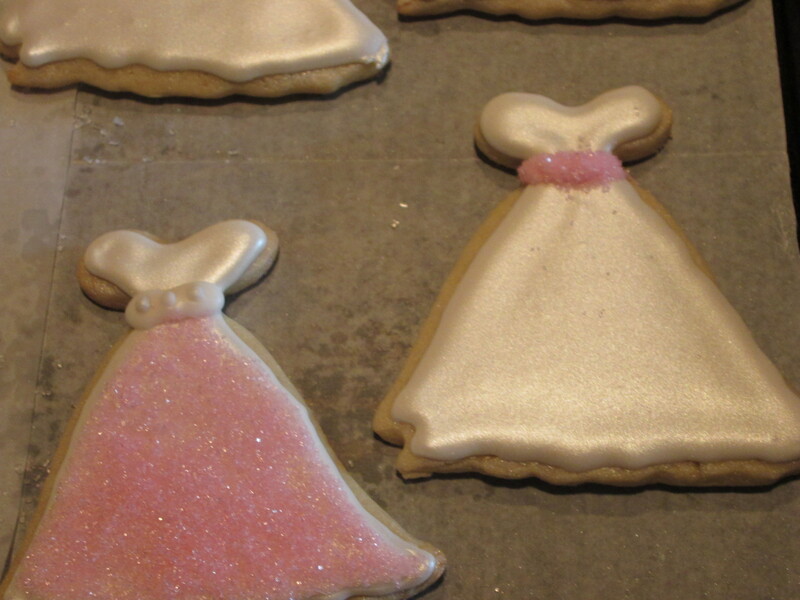 They are perfect for any occasion or holiday, since you can switch up the cookie cutters or colors of frosting. Typically, we stick to round circles with frosting…Because normally, we don’t care about the decorations…just the taste. And these cookies taste better than any other sugar cookie I have ever had in my life. 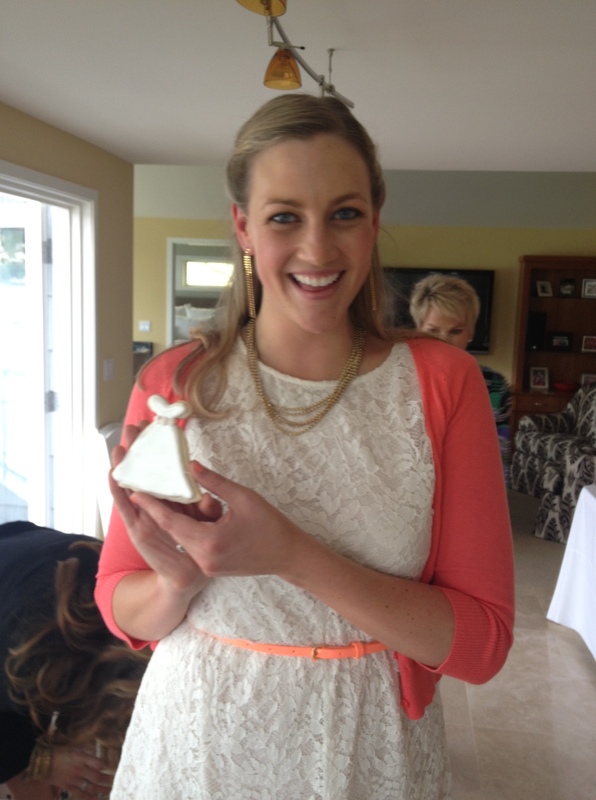 But, things got a little out of hand when we found these wedding shaped cookie cutters at Sur La Table. 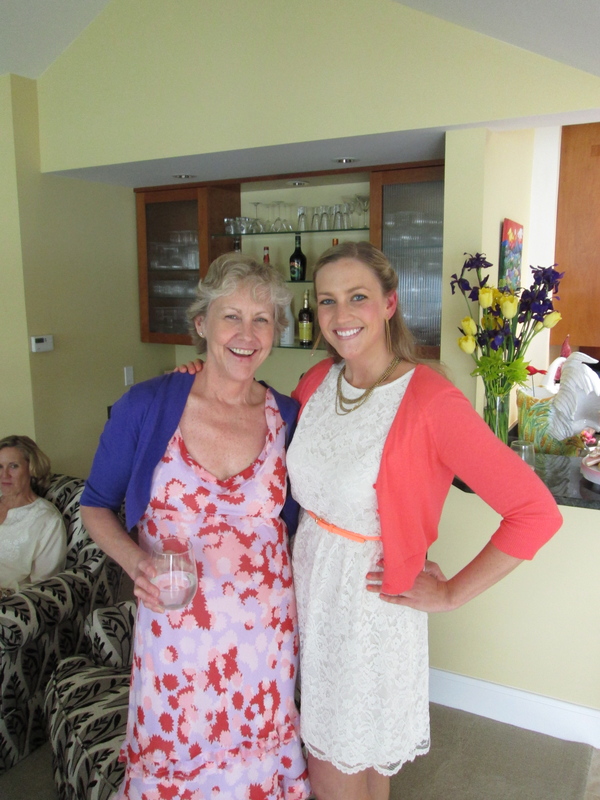 I asked my mom if she could make some for my Bridal Shower…and the rest is history. 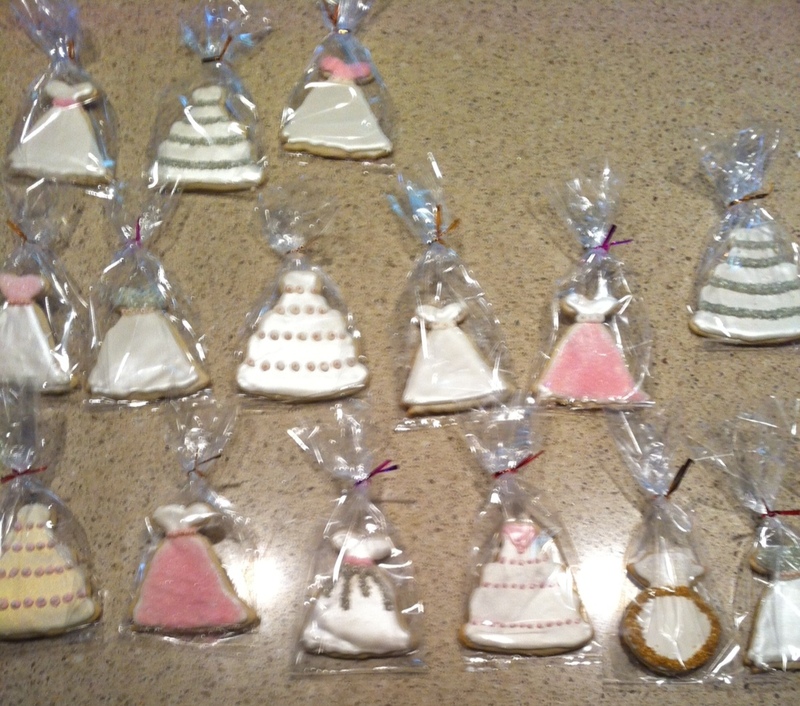 Beyond excited at my Bridal Shower for the best and prettiest wedding-themed sugar cookies ever! 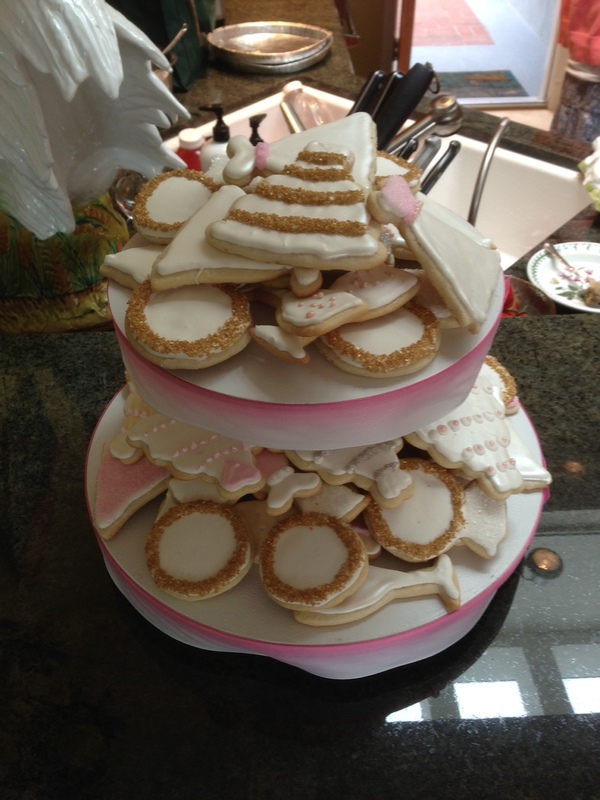 My mom may have had a few anxiety attacks over not being a professional pastry chef…decorating cookies is hard work! She went out of her way to practice and bought tons of decorating supplies…and experimented with royal icing and fondant many times. The guests loved them. Mom, thanks for working so hard. You rock. Divide into two parts and wrap in wax paper. Refrigerate at least 1 hour. Preheat oven to 400 degrees F.
On a clean, floured surface, roll out the dough with a rolling pin. Roll the dough so it’s about 1/4 – 1/2 inch thick, and use your favorite cookie cutters to cut out shapes of the dough. Use a cookie spatula (better known as a pancake flipper) to move your cookies from the floured surface to a well greased baking sheet. Ungreased silicone baking sheet liners work great here too. Cook at 400 degrees F for 10 minutes. You never want them to get too browned around the edges, or they’ll be super crunchy. We like ours on the softer side. Baking time depends on what shapes you cut your cookies into – we have adjusted baking times from 8-12 minutes depending on the size of our cookies. Food coloring, depending on what theme you are going with!